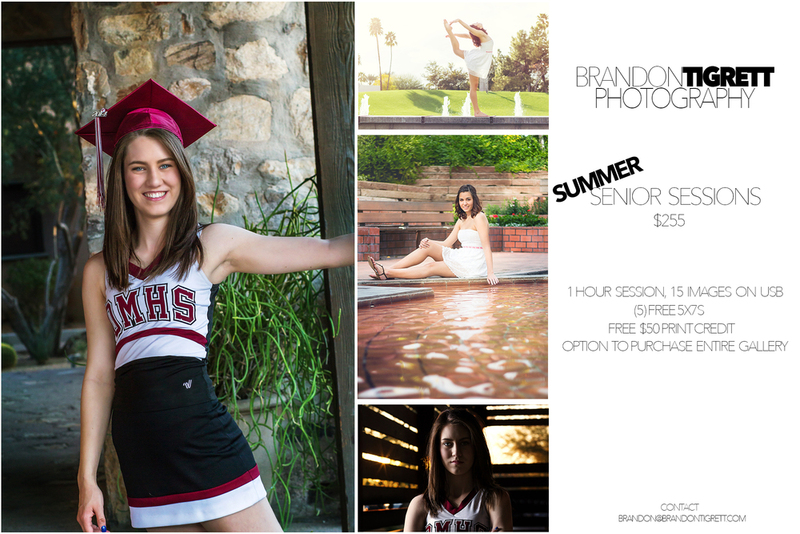 This promotion is good for any 2015 Arizona High School Senior looking for senior photos! The promotion will last until the beginning of September, 2014. (End of summer). Unlimited outfit changes during your session. Contact me at Brandon@brandontigrett.com to schedule your session or call 412.310.2552. Remember this pricing is only good through the end of August! Regular priced senior sessions start at $300.